Robert Louis Stevenson (13 November 1850- 3 December 1894) was a Scottish novelist, poet, essayist and travel writer. 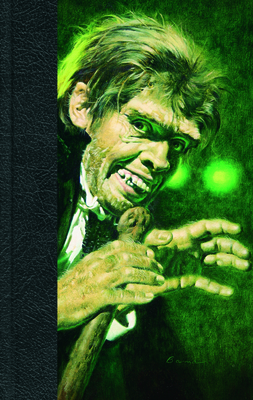 His best-known books include Treasure Island, Kidnapped, and Strange Case of Dr Jekyll and Mr Hyde. Barry Moser: Barry Moser (b. 1940) is a renowned artist, most famous as a printmaker and illustrator of numerous works of literature. James Bama: James Bama (b. 1926) is an American artist known for his realistic paintings and etchings of Western subjects. Basil Gogos: Basil Gogos is an American illustrator best known for his striking portraits of movie monsters which appeared on the covers of Famous Monsters of Filmland magazine in the 1960s and 70s. Patrick McGrath (b. 1950) is an English writer, primarily known for his Gothic novels. His novel Martha Peake won the Premio Flaiano Prize in Italy.